Now that we know production for the sixth season of Arrow is underway, the floodgates have opened and we fully expect details to come flowing in on a regular basis. 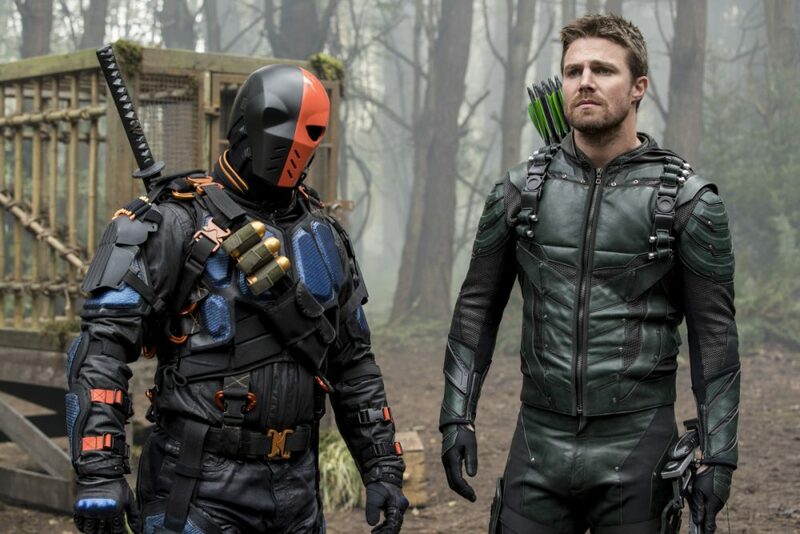 That said, lead actor Stephen Amell recently divulged a few juicy tidbits himself when speaking at Heroes and Villains Fan Fest in Nashville over the weekend, which may have very well seen one of the biggest public joinings of the cast made outside of San Diego Comic-Con. Not only is it great to hear that Slade Wilson survived the blast, but it’s doubly thrilling to learn that he’ll play a decently significant role for the foreseeable future. While it remains unclear what he’ll be up to, we’re guessing that Oliver will make good on his promise of helping his former nemesis find his son. Plus, it’ll be interesting to see what Bennett does with the character now that the Mirakuru has burned out of his system. Beyond that, Amell teased that “we have somebody returning to the show this year that we have not seen since Season 1.” This is obviously causing people to assume that it’s a resurrected Tommy Merlyn, which could pan out, but we must remind you that he’s since appeared several times in flashbacks and hallucinations. Still, we could be arguing semantics here. Regardless, it may be time to start combing your season 1 DVD sets for clues.